Waiting On Wednesday was created by Jill at Breaking The Spine. It's a weekly post where you share the books you can't wait to read! Check out the Waiting on Wednesday posts on my affiliate, Amber Skye's blog, Reading Addict! 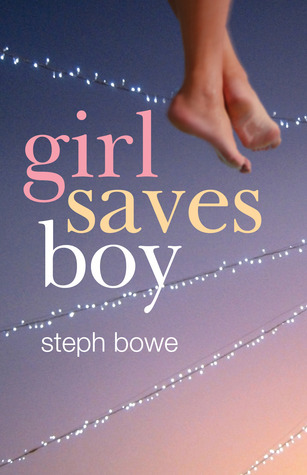 This week's Waiting on Wednesday post is about the upcoming novel, Girl Saves Boy by Steph Bowe! My thoughts: The reason why I was drawn to this book is the age of the author. The author, Steph Bowe, is only sixteen! After reading the premise for the book, I am now even more excited to read it. I think the author's age will show in the believablility of her characters, because she can relate to them easily. This book is out now in Australia, and should be published in the US later this year! A sixteen year-old author? Impressive. That fact alone draws me to the book. Can't wait until it comes out!